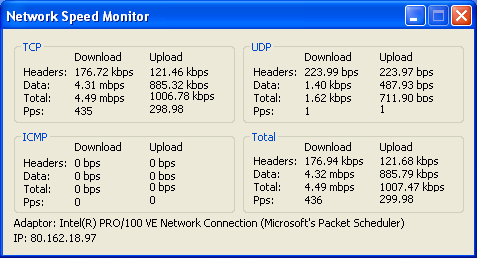 Network speed monitor, short Nmon, outputs information about your upload and download speed. The screenshot says it all. Nmon gathers its information with WinPcap, you need to download and install it. Nmon has been tested with WinPcap version 4.0.2.